So week 3, I am familiar with Inkscape, Tinkercad and Sketchup, have been teaching these programs in FNV. 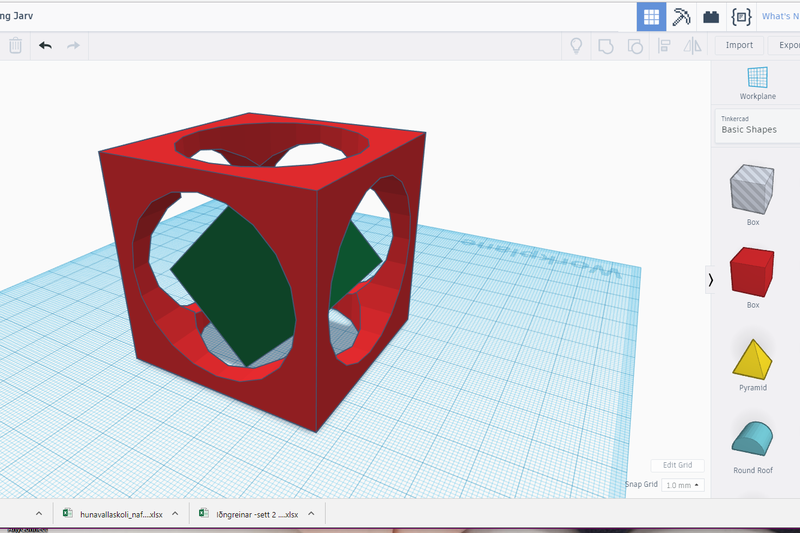 I'm very fond of Tinkercad and have been using it for beginners and farther on and it has been working well. 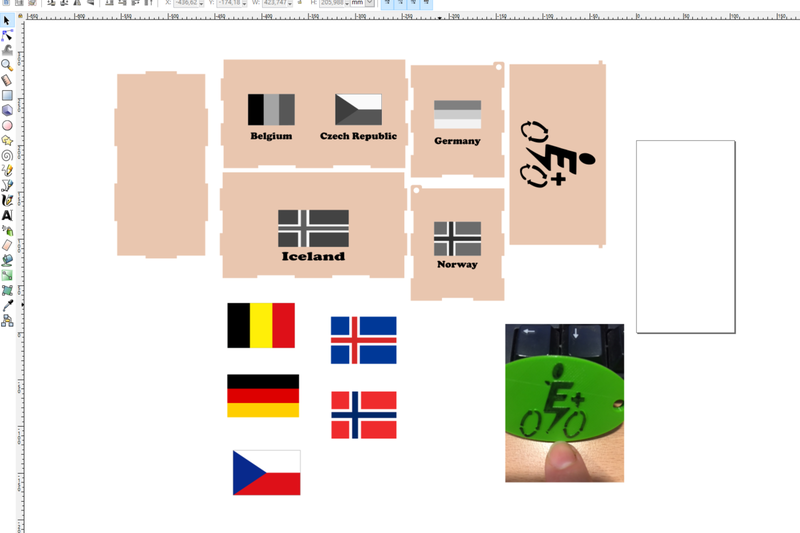 I also teach Inkscape and find it a very good program for all 2D designs and to work 3D projects for laser and Shopbot. easy to create a beautiful image of space. For example I used it to design my garden and staircase. to make there own ideas. 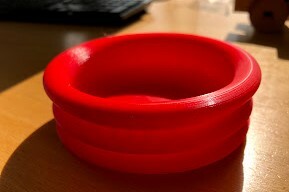 3D printing and putting there items for laser and Shopbot. 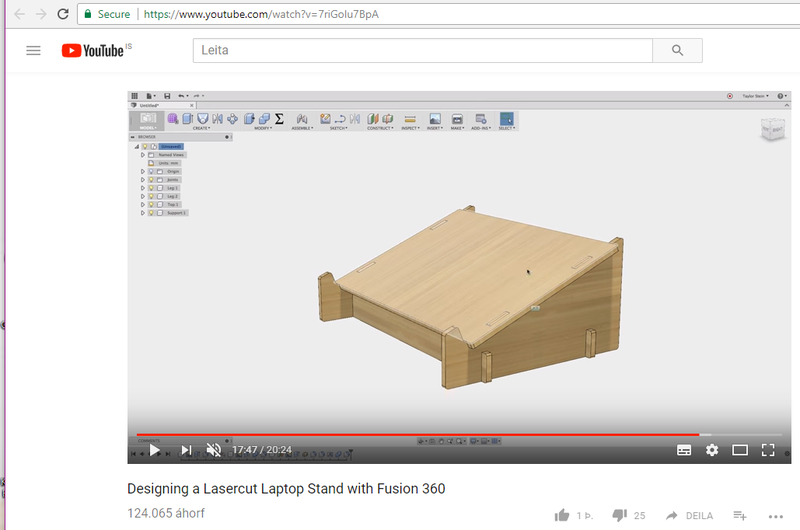 So now I´m trying too get in to Fusion 360 and have that as my main 3D program for next year. I've been testing it and I like it very much. HERE you can find the video I used to get started. 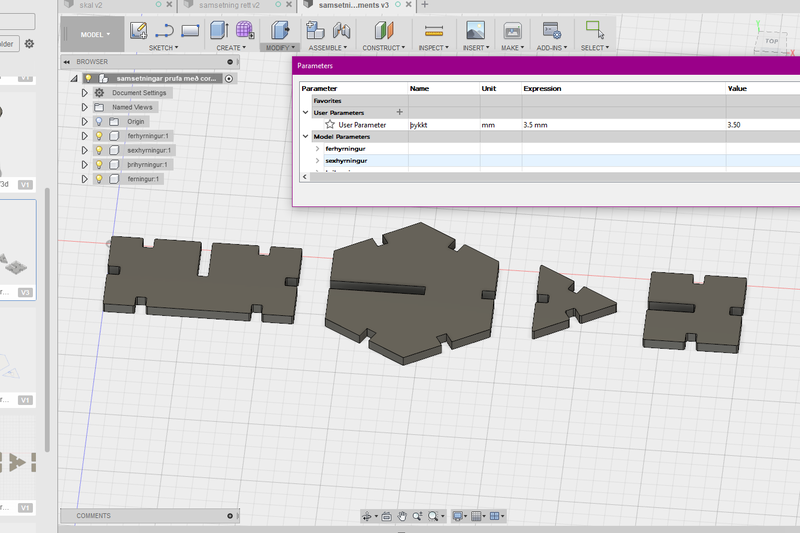 Here are some of my testing with fusion, Inkskape and Thinkercad. 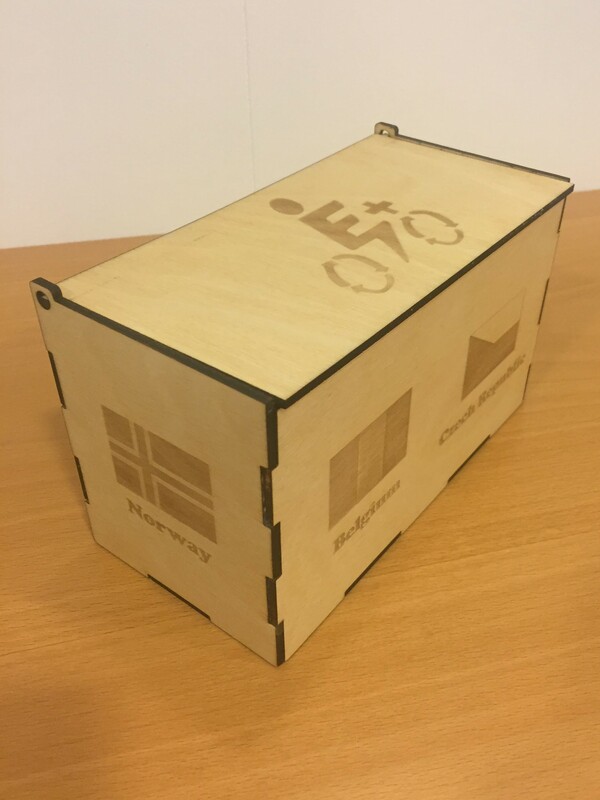 What I did here in Inkscape is that I made a box for Erasmus+ project I was working on. What I did was to draw in some rectangle an then decide what kind of material I would use and messure it so that I could add the conections for my bow. It was a simple box with lid on, I had to make a lid and find out how to make that work, but what I did was to lower the back pice to make rome for the lid when it is open. 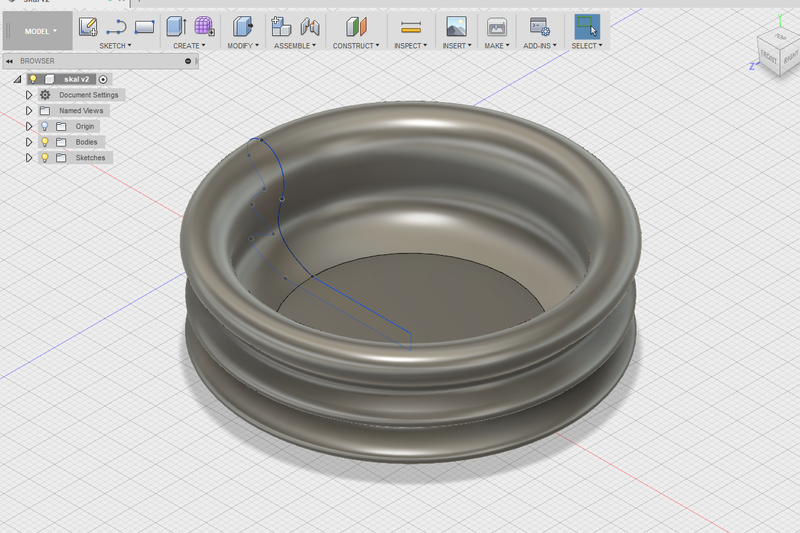 Here I whent for Fusion 360, I tried to make a cut for a bowl by free hand draw the cut, then I used the revolve to make the bowl whole. 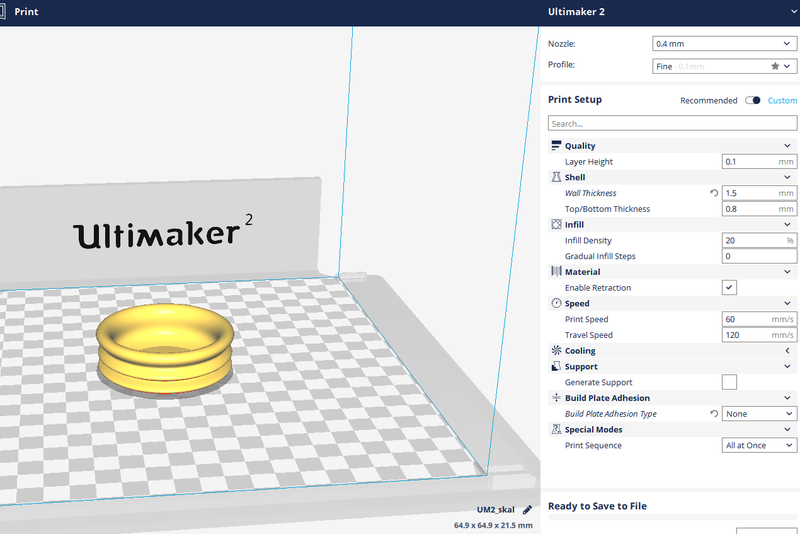 After that I saved it for 3D printing and because I have Ultimaker I use Cura for the settings for the printer. This is also a Fusion 360 drawing, I was testing the parametric settings. Here I was trying the Thinkercad program, it is fun and simple and nice to see how many cool things you can do in so simple program.